Most tourists who come to Phuket would probably head to the beaches and Patong nightlife which are located on the west coast of the island. After you have had enough of sandy beaches and have recovered from your hangover, you should make a trip to Phuket Town or stay there for 1-2 nights. 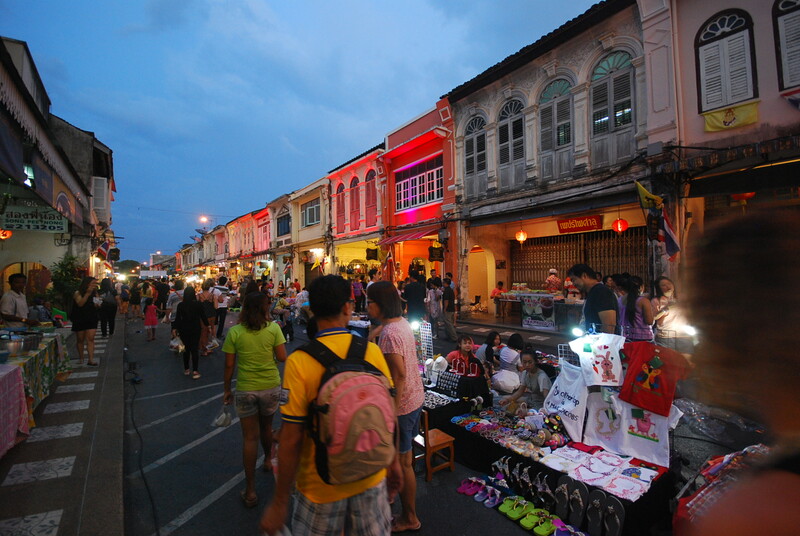 Phuket Town is not a tourist area but it’s where the original Phuket people settled and where Thai people live today. If you stay in Phuket Town you would get a feeling of being a local person and most of the restaurants, bars, shops, market and street food are local style. 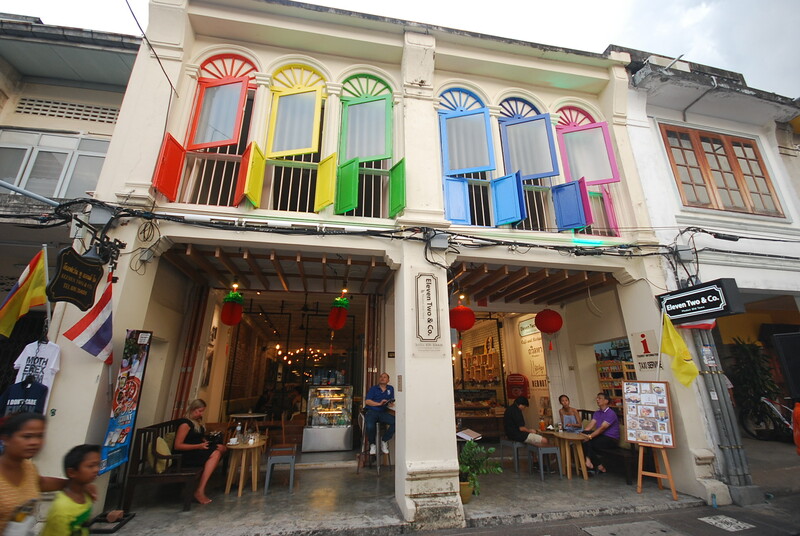 Here are a few things that I enjoy of what Phuket Town has to offer. 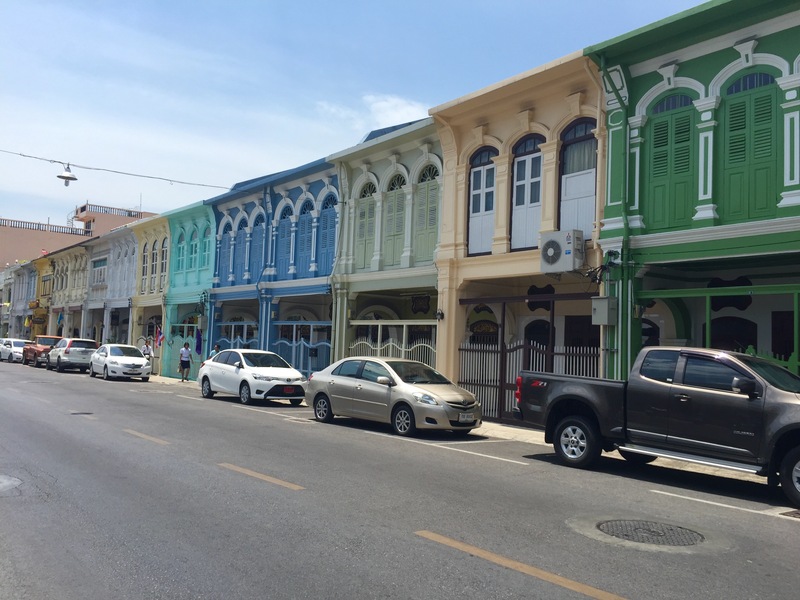 Thalang Road is one of the most important and oldest roads in Phuket Town and along 350 meters of this road you will see beautiful classic buildings in “Sino-Portuguese” style. The road is full of chic cafes, restaurants, traditional Chinese shops, some boutique hotels and some residential buildings. 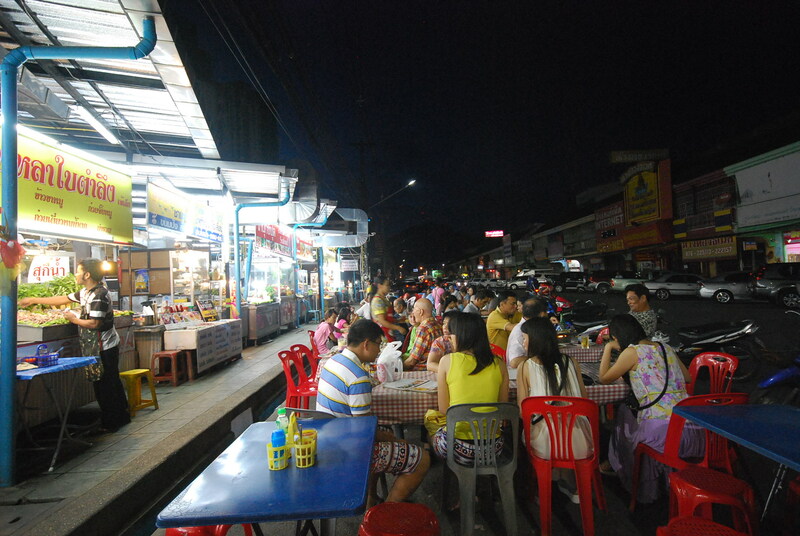 Every Sunday evening the road is closed for a street market which starts at 4 pm till 10 pm. The market is full of food stalls, drinks, fruit, clothes, bags, souvenirs, accessories, tattoo stalls and many more things at a Thai price! There will also be music bands and a traditional show from local kids to entertain you and some kids’ activities like painting. 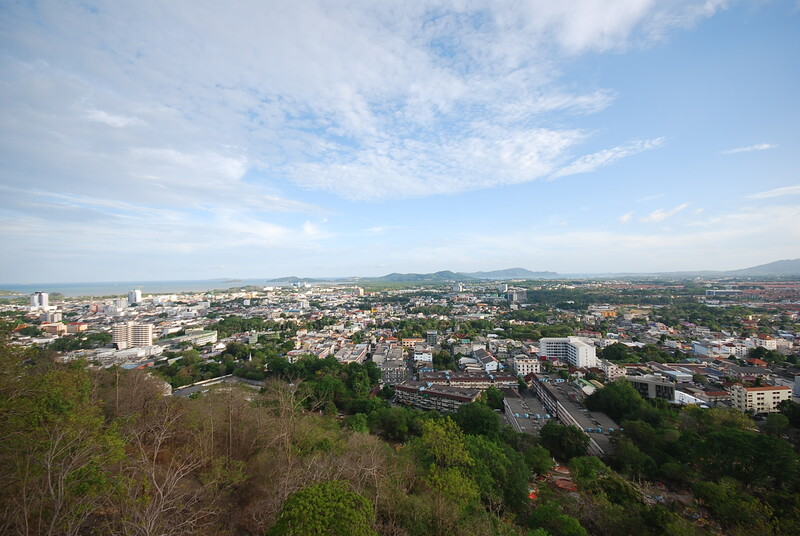 If you want to see a big picture of Phuket Town, Khao Rang View Point has a stunning view over Phuket Town and is located on top of Khao Rang Hill. I have visited this place many times and one reason is because I love the food at Khao Rang Breeze Restaurant and enjoy a chill out evening at one of the highest places on the island. The menu is a mix between Thai and European and I have never been disappointed with the Thai food so far but I guess the restaurant maybe is not the best place for European food. 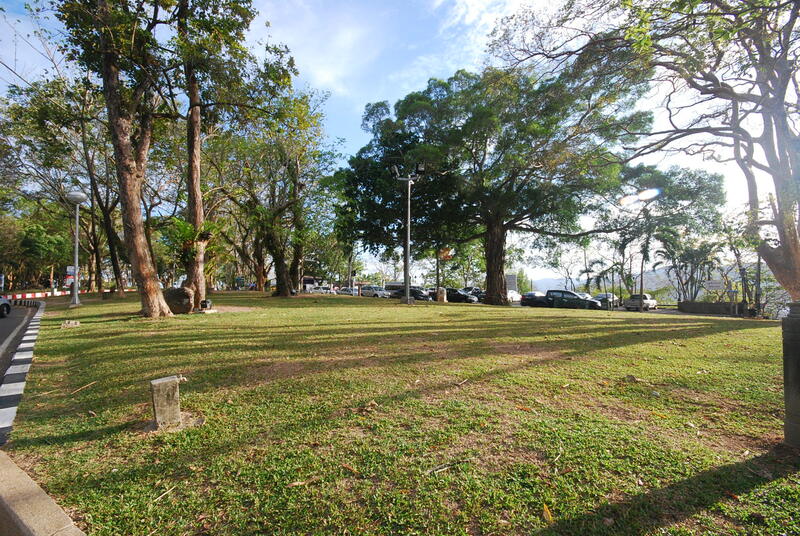 Khao Rang View Point has a park with a chidren’s playground and a shop that sells ice cream and fruit shake – an ideal place for a family with young kids. From 4-6 pm would be the best time to visit as the temperature might be a bit lower (average 30 degrees all year round) and to have a chill dinner at the restaurant would be a bonus. 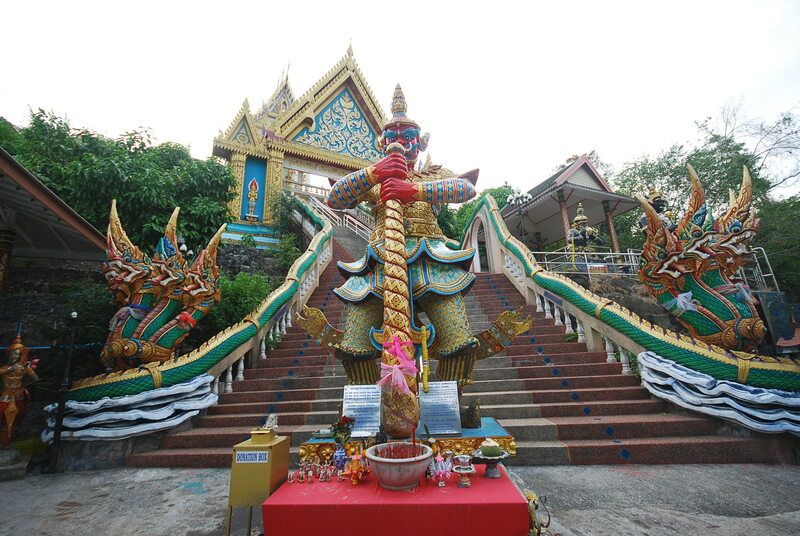 Before you reach the view point there is a Buddhist Temple that you can visit. I also think that Khao Rang View Point is the best place to see the sun rise as it is located on the east coast of the island but it’s a shame that I haven’t had an opportunity to wake up at 5 am yet! 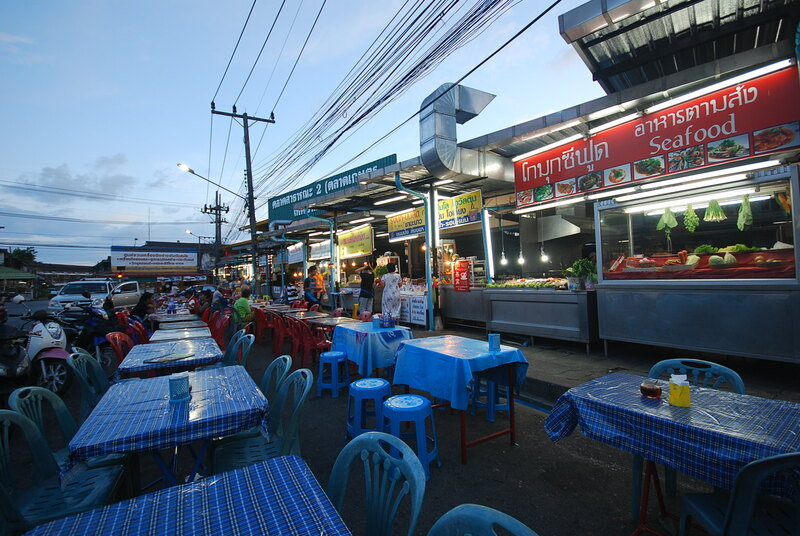 There is a lot of street food in Phuket Town but my favorite one is the night street food located at the fresh market. There are a lot of food stalls here with open kitchens, e.g. seafood, one dish menu (pad Thai, noodle soup, rice with pork or chicken) and all kinds of fried rice and some local desserts. I have eaten there many times and enjoyed it every time. Tourists who visit Thailand for the first time might be a bit nervous to eat here but there is really nothing to be afraid of as all the food here is not strange. Go ahead and try the most delicious food in the world! 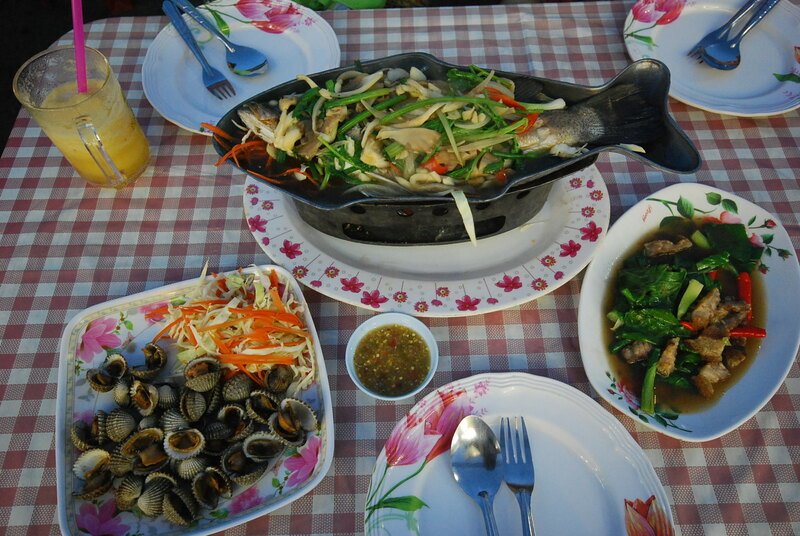 This is what a street food in Phuket looks like! 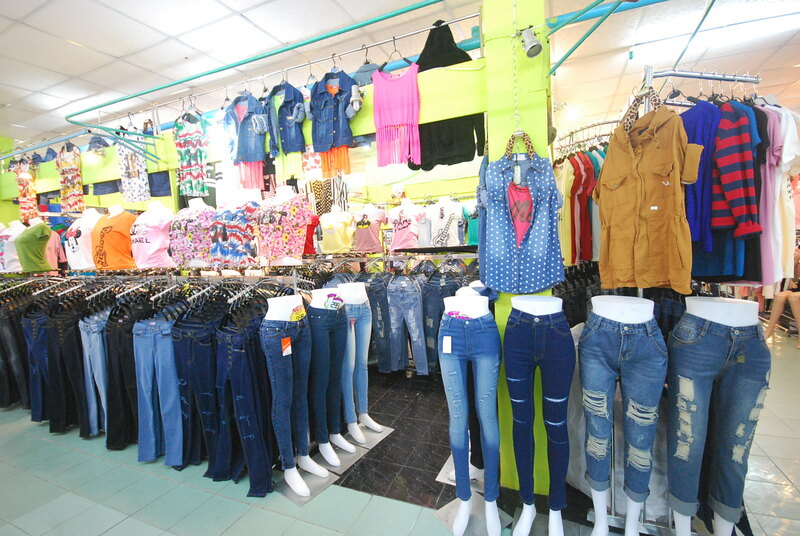 If you would like to buy good quality of T-shirts, trousers, jeans, shorts, accessories and all kinds of fashion for a reasonable price, The Expo Market is the center for this. 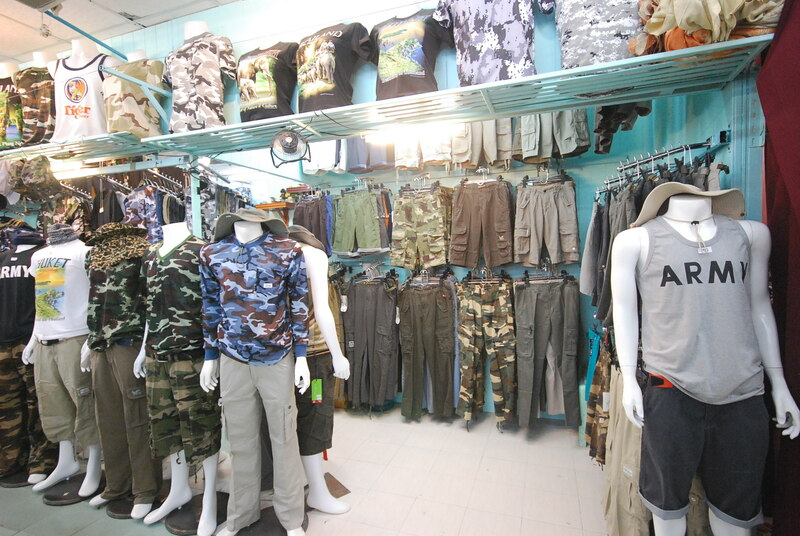 This place sells clothes for men and women made in Thailand and the quality is worth for the price. 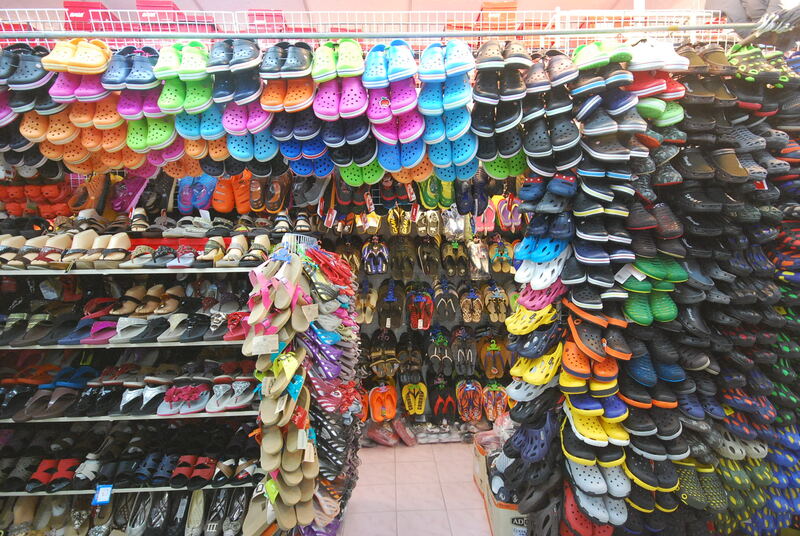 The price here is cheaper than in tourist areas, e.g. Patong 2-3 times. if you want to do serious shopping it’s worth a visit and It opens from 10 am – 10 pm everyday. If you are there around lunch time I recommend to have lunch at Up Town Restaurant next to the Expo Market or if you are there around dinner time you can walk to the night street food. There are some of nice boutique hotels in Phuket Town but if you are looking for bargain accommodation and to stay in a place that you can feel more like home, renting an apartment from Airbnb is an option. I highly recommend you visit Ao Yon Beach located on the east coat of Phuket Island where is very quiet as not many tourists go there. 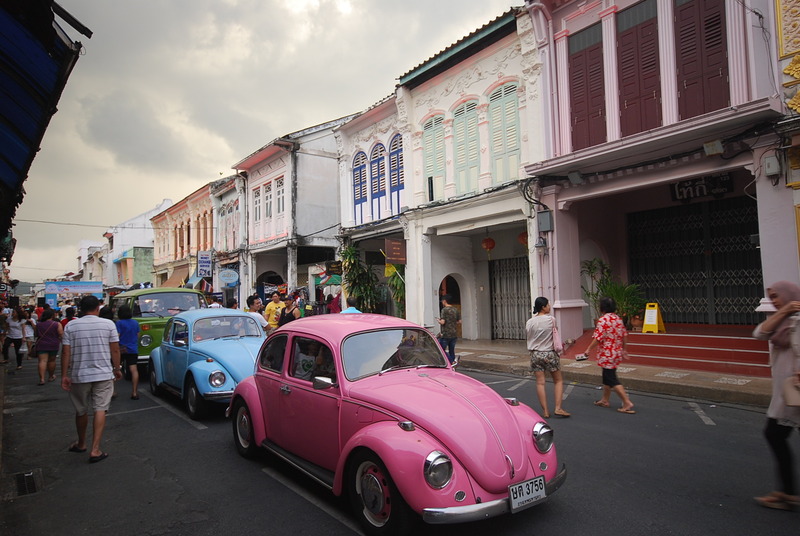 From Phuket Town take Soi Ao-Yon Khao Khad Road, this road runs along the sea with beautiful scenery. 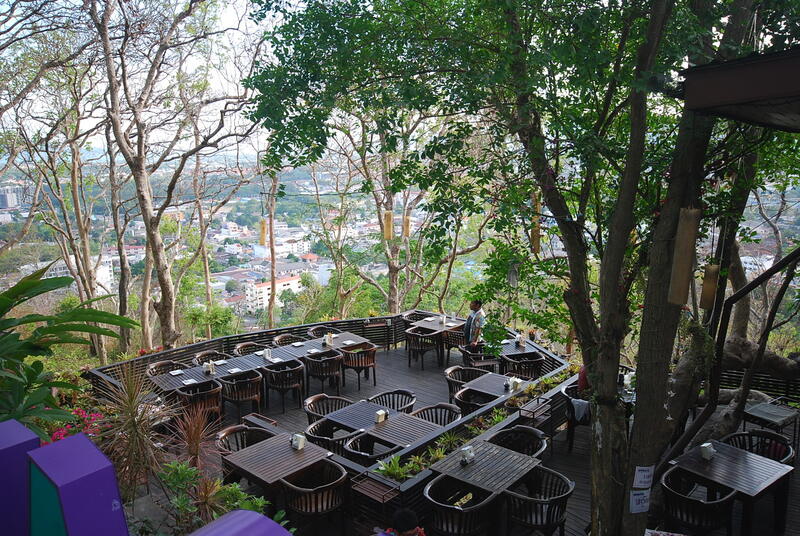 You can also stop at Khao Khad View Point Tower to check the most beautiful view point in Phuket. Not many tourist on this beautiful beach..they all in Patong! 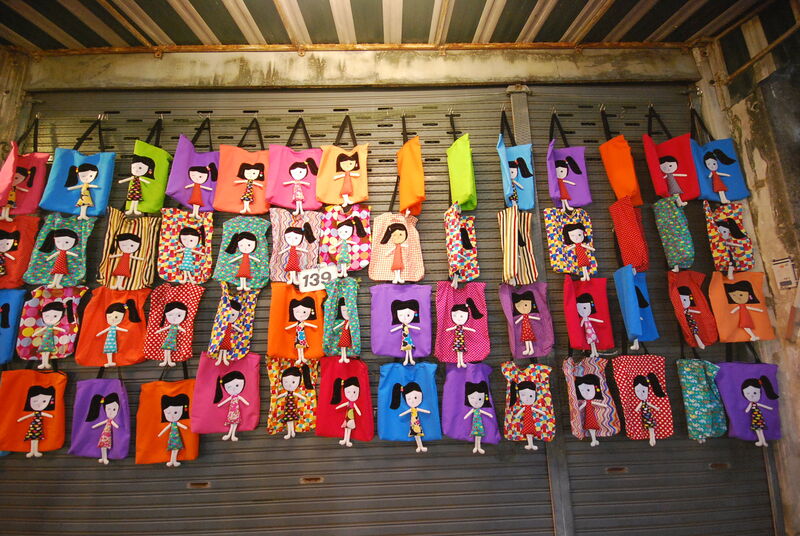 I hope you enjoy Phuket Town as much as I do!